Segovia is one of those places that makes you believe in fairy tales. It makes you wonder about the impressiveness of the humankind and mathematical genius that left us with the Roman Aqueduct. About the depth of believes that brought to life a Cathedral of blinding beauty. And, of course, about the romanticism of architects that designed the castle which was said to inspire even the world-known dreamer Disney. 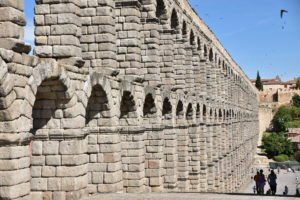 While the original purpose of the Roman Aqueduct, which it performed for over 2,000 years, was to carry fresh water to the city, nowadays it has become one of the most popular spots for taking a picture in Segovia. 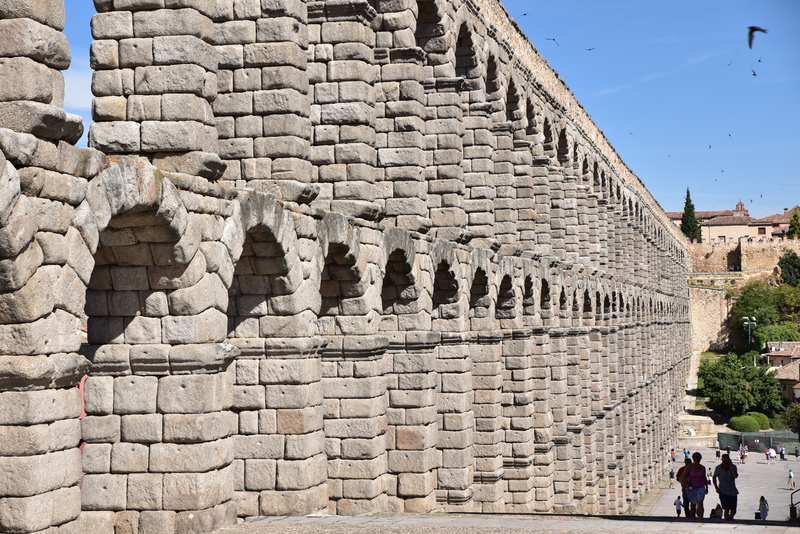 The total length of this aqueduct is 15 km! Hard to believe indeed, but it’s true. Yet, you won’t be able enjoy its full length … part of it, happens to be underground. The part that you do get to see inspired a local legend. According to it, a beautiful young Spanish girl had a task of carrying water from the mountains. Yet she didn’t feel like doing it every single day and so she made a wish that somebody would help her. A Devil appeared and he told her that he would help her in exchange for her soul and marriage. The girl agreed under a condition that he helped her before the sun rises. The Devil agreed and while he was constructing the Roman Aqueduct, she was distracting him. As a result, didn’t manage to finish it on time. This way, Segovia got the aqueduct and girl kept her soul. The irresistible beauty of this Cathedral cannot be described by words. It is a late Gothic Cathedral built in the 16th century as one of the last constructions in this style. 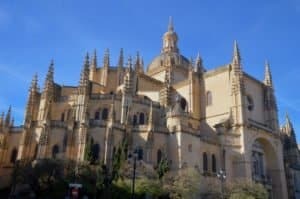 Yet, it is not the Cathedral that changed the course of Spanish history. In fact, it is an unnoticeable simple church on the other side of the Plaza Mayor, the so-called San Miguel Church where it happened. One special December day in 1474, Isabella crowned herself the Queen of Castille and Leon. Sure, this might not have been accepted as legitimate by many important personalities of her time, but it started her journey of conquering the throne and ultimately, the famous Reconquista. Whether you decide to admire the castle from under the hill or from in front of the entrance, you are sure to feel like a Prince/Princess. What might astonish you is how well conserved the castle is – but don’t get confused. While the original building comes from the 12th century, what we get to see is just the reconstruction that took place after an extensive fire destroyed everything in its way in the 19th century. It served as a home for the monarchs, prison, and now it is a small museum where you can admire the colourful influence of muslim’s constructions. You can enter the museum for 2,50 euros as a student and 3,50 euros as an adult. It is recommendable if you like history and architecture as it is essentially a military museum and reconstruction of the rooms from the Medieval Ages. You also get to have a beautiful view from the front part of the castle and for additional 2,50 euros you can also enter the Tower. Don’t get lost from the city. Get lost in the city. 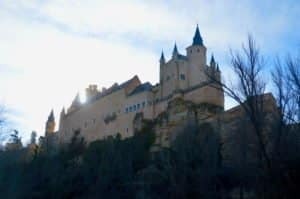 Segovia kept the charm of a Medieval city and time really seems to stop there. 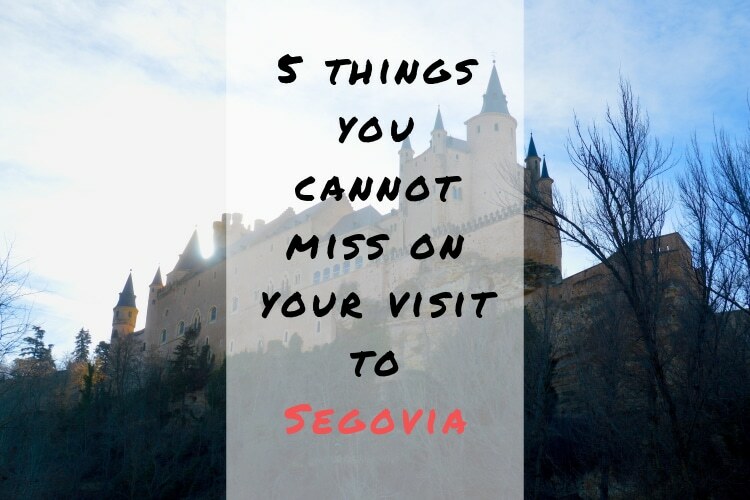 Whether you enjoy taking pictures or just admiring the beautiful architecture, Segovia will definitely take your breath away. And once you get tired, get a bear at one of those sunny terraces or even better, have a taste of the amazing Cochinillo Asado. If you’re open to trying to things and diving into the culinary side of cultures, Cochinillo Asado is a must! 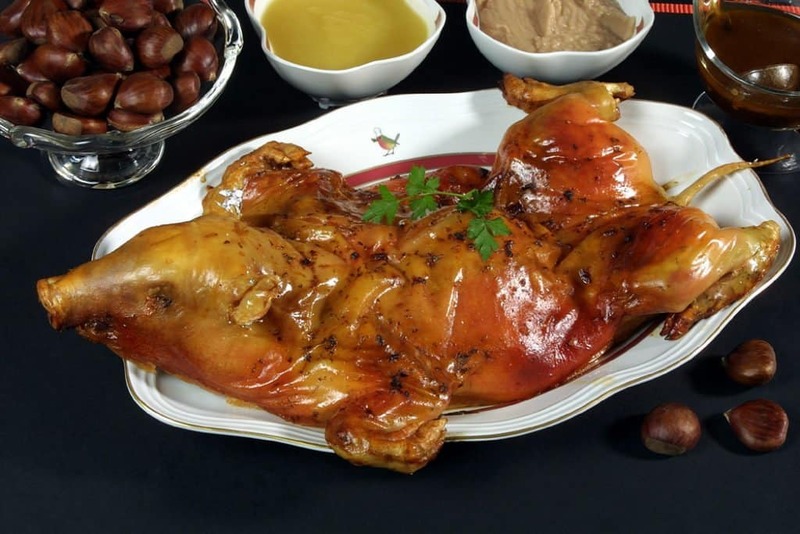 It is a suckling pig roasted to soft and crunchy perfection. 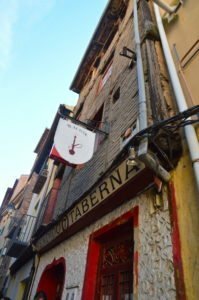 As a typical Castilian dish, it is a must when you visit Segovia… unless you are a vegetarian, of course. Sounds unreal? Spend the day with us exploring this amazing city every semester on our fun Segovia & El Escorial day trip! We’re travelling every weekend to amazing new locations so make sure you keep up with our travel calendar!